Denzel Washington (2 Guns; Flight; Unstoppable) is back again to dispense justice at the expense of evildoers everywhere. This time out, Robert McCall (Denzel Washington) must avenge the savage beating of a prostitute named Teri (Chloë Grace Moretz; Muppets Most Wanted; The Tale of Princess Kaguya; Carrie) at the hands of the Russian mob. Robert and Teri had a friendship going since they both frequented the same 24-hour local diner every night and chitchatted with one another. Robert spent his time reading books and drinking his tea while Teri spent her nights eating dessert, quizzing Robert about books, and being a call girl for some gross individuals. Due to some unforeseen (not really) circumstances, Teri is beaten nearly to death, and this sets up Robert for a showdown with said gross individuals. Before continuing with Robert’s adventure I should also point out that he is happily employed at the local Home Mart super store and everyone there likes him and speak highly of him. Robert acts as a mentor to some of the employees and serves as someone that they can talk to if they need help. Robert McCall, for all intents and purposes, is a very nice guy. He does suffer from OCD as he is constantly doing things in a certain way, whether it’s dressing up a certain way, washing dishes in the same way, or preparing his tea a certain way. He does have a bit of the old restless legs and hands syndrome going, as well. 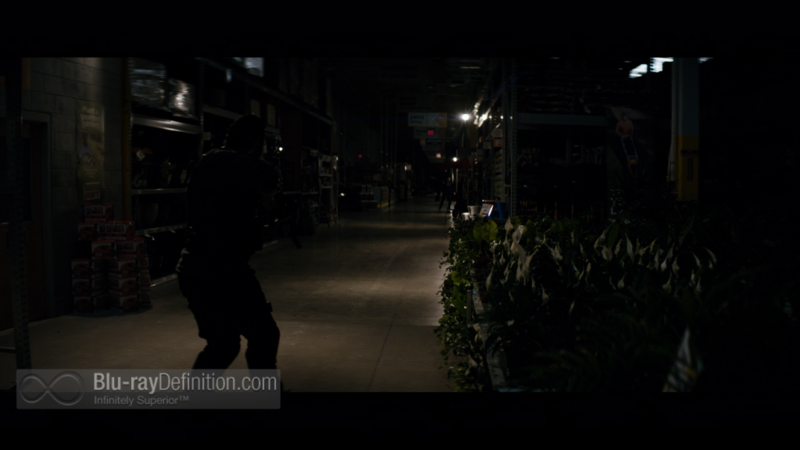 This does not diminish the fact that under the facade of a mild mannered Home Mart employee with some eccentricities lays the untold story of a killer – a killer that may have been trained by our government in all manner of combat and tactics. Make no mistake: Robert McCall IS The Equalizer. He’s there to level the playing field and when Teri gets beaten to a pulp he will stop at nothing to set the wrong things right again. 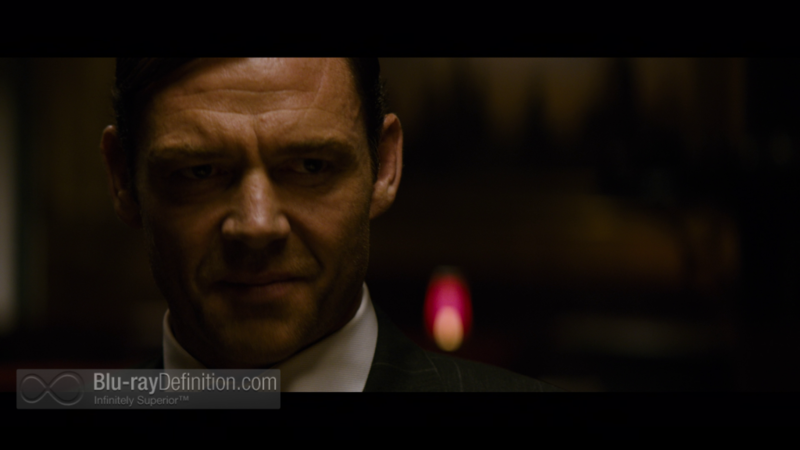 The Russian mob and those at the top aren’t going to make it easy on him either, as they’ve dispatched a master assassin named Teddy (Martin Csokas), to the states to see who or what is disrupting normal Russian mafia business. I did mention that Denzel was unleashed upon the evildoers that beat up Teri, right? 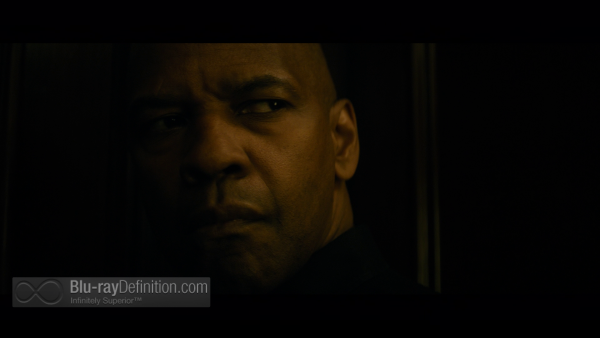 Watching the The Equalizer was an exercise in fun and seeing justice brought down on those that deserved it was great. 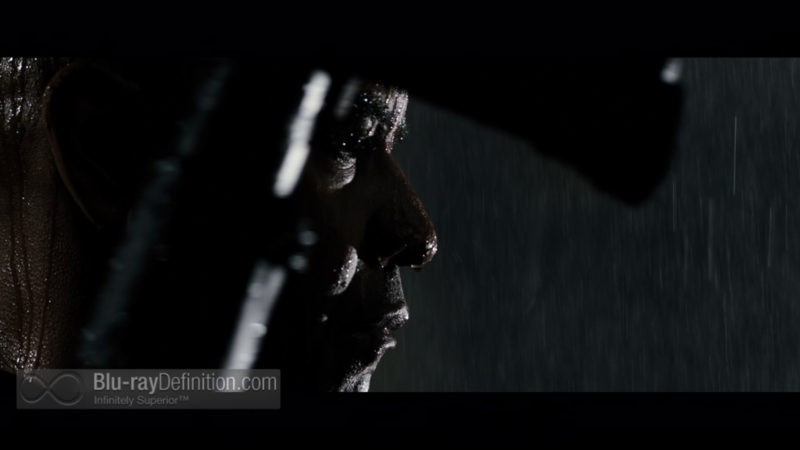 Denzel Washington is a “man on fire” in this and also brought a solitary touch to his character without being an unidentifiable shut-in. He was popular at work but when he was activated it’s as if he had graduated from the same school as Jason Bourne. Denzel Washington and director Antoine Fuqua have joined forces once again – It’s been more than 10-years since the pair worked together and it literally feels like coming home. I don’t think The Equalizer is Oscar material or anything, so there’s no need to compare this to Training Day, because there’s nothing to compare. They’re both on the opposite sides of the spectrum in terms of filmmaking and genres. 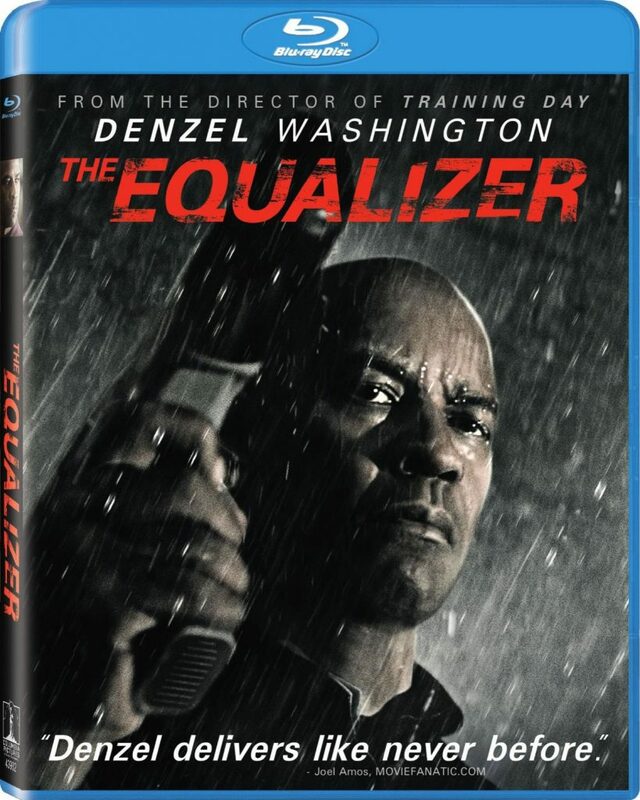 I should also point out that this version of The Equalizer is a reboot/retelling of the old 1980s show that starred Edward Woodward. It was about a retired ex-covert agent who put his training to good use by avenging those that could not stand up and fight for themselves. The show lasted for four seasons. 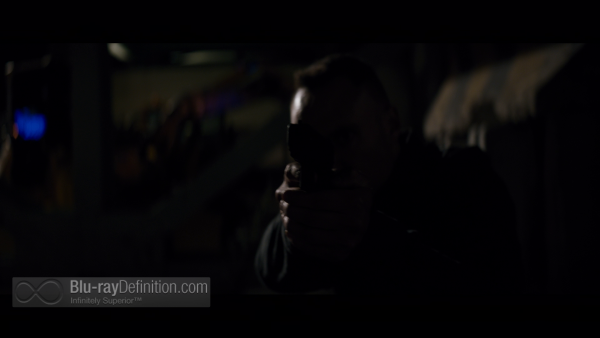 I had a great time watching The Equalizer but be warned: the film is VERY brutal and graphic in its depiction of violence. Denzel Washington makes for a pretty cool “real” superhero and Fuqua manages to carve out himself a nice piece of neo-noir. I cannot remember the last film that I watched that had so many 3-point perspective shots. 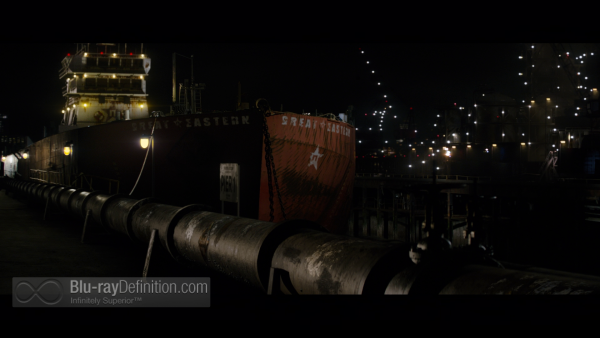 The cinematography by Mauro Fiore is outstanding and every establishing shot and/or 3-point shot looked great. Earlier this year we had A Walk Among The Tombstones featuring Liam Neeson – and I think The Equalizer would make a great double-header with that film…just a thought. 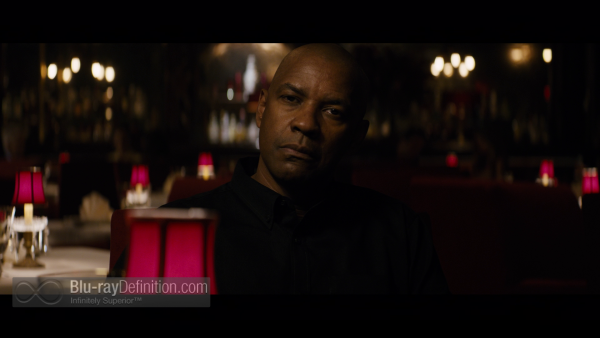 The Equalizer is presented in phenomenal 1080p and I will say it right off of the bat that the Blu-ray looks great! 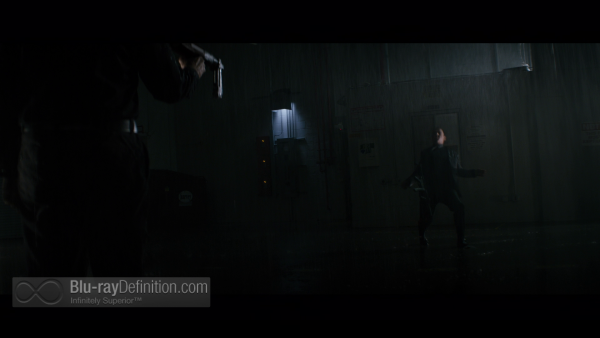 Shot on the ARRI ALEXA PLUS and employing various Panavision lenses, Fuqua and Fiore have crafted some very impressive neo-noir compositions. The Blu-ray is a testament to their techniques. 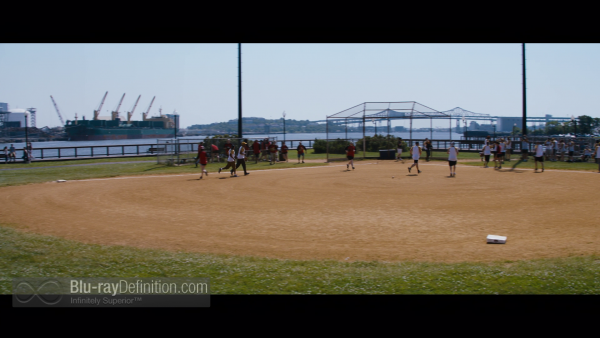 The film retains some lively grain, keeps the contrast levels nice and balanced, and sharpness levels look unspoiled. Flesh tones look nice and natural and I did not notice any instances of DNR or aliasing. 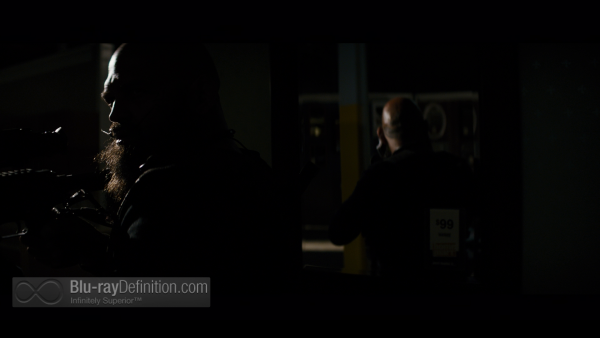 As I mentioned before — this is a reference Blu-ray in terms of video quality. You can eat it with a spoon. 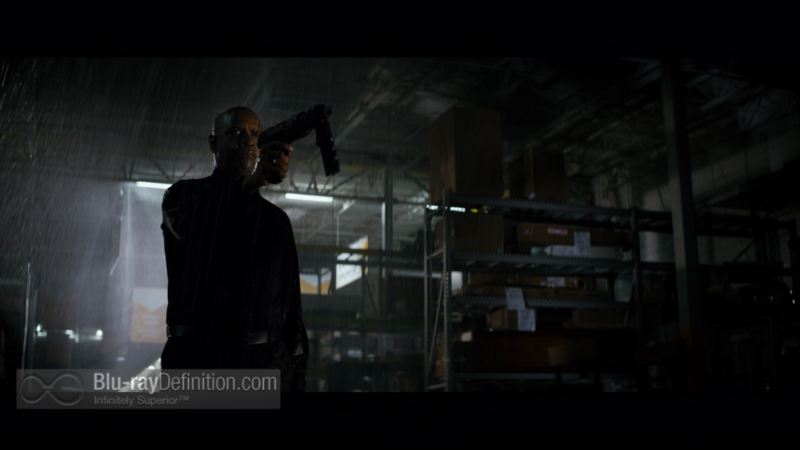 The Equalizer is presented in DTS-HD Master Audio 7.1 (and defaults to DTS-HD Master Audio 5.1 for those without a 7.1 set up). Okay, I lied. 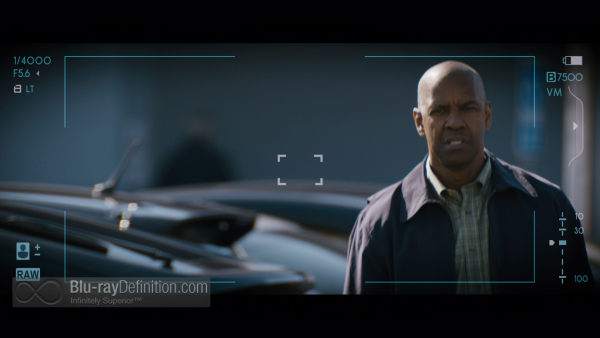 The Blu-ray audio specs are also reference worthy and complement the video presentation, as well. Dialogue is clean and crisp; the LFE (subwoofer) channel handles the low-end nicely. There are several scenes where the LFE kicks it up a notch that you’ll feel the wind knock you back a bit. The rear channels handle the ambience as well as the many gunshots flying above your head. You will be ducking for cover, so be warned, and use the volume controls wisely. Dialogue levels are strong and clear and everyone that had Russian accents were easy to understand. The supplemental materials on this Blu-ray are marginally better than the average kind we’re accustomed to these days. You get your run-of-the-mill talking head fluff piece(s), but what really stands out on this Blu-ray is the “Vengeance Mode,” which is pretty much a virtual commentary as opposed to the standard audio commentaries we’re used to. 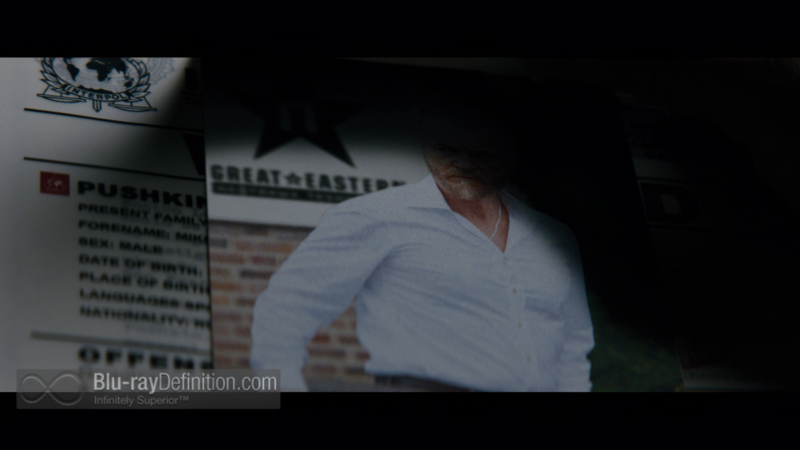 You watch the film and then it may split into a PIP (picture-in-picture) with on-set commentary, interviews, or behind-the-scenes footage while you’re watching the main feature. The rest of the extras are made up of making-of and interview segments. The one glaring thing about the special features is that the ones listed at the top are exclusive to the Blu-ray format. I’m guessing that the DVD-only version has the bottom two labeled “special features.” A Digital HD UtraViolet version of the film is also included with the Blu-ray. 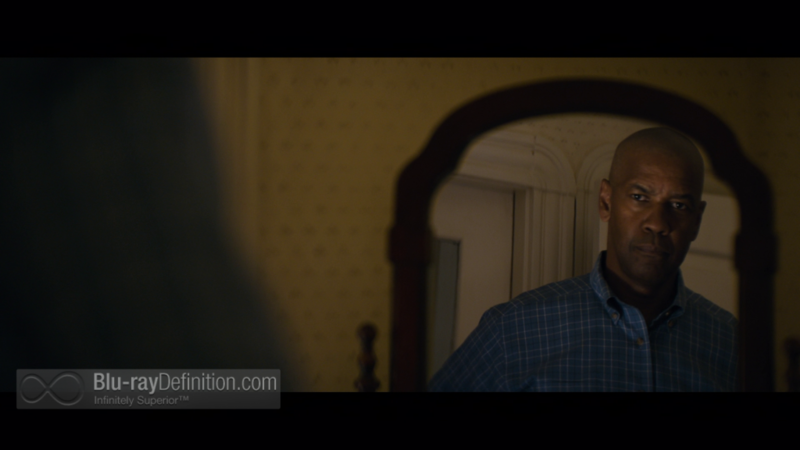 I’ve read some mixed reviews about The Equalizer and how some folks actually thought it was too long winded and dreary, but I’m one of those that didn’t want the film to end. I enjoyed watching Denzel apply brutal tactics to criminals and making the wrong things right again. He was a walking death machine and it was cool. The Blu-ray technical specifications are reference quality and the supplemental features are above average. 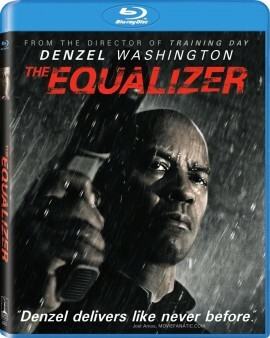 The Equalizer is highly recommended.